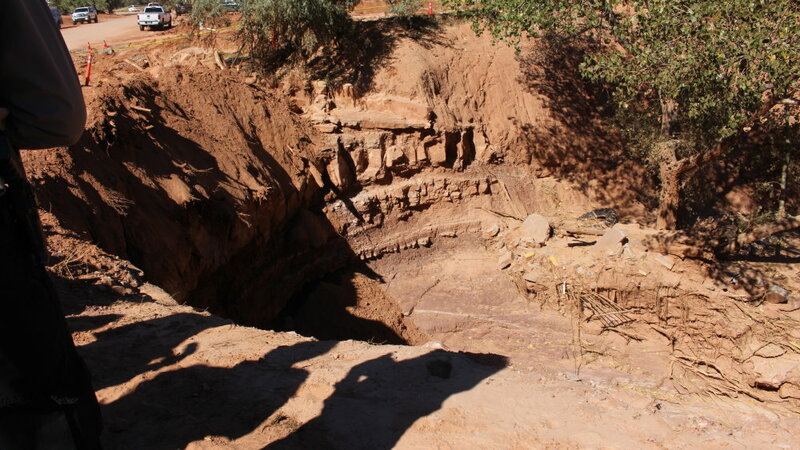 ST. GEORGE – Washington County Search and Rescue teams are pulling out of the Hildale area following two weeks of attempting to find the body of a 6-year-old boy, the last known victim of the fatal flooding that claimed the lives of 12 others. Search efforts have gradually wound down since Sept. 20, when state-level resources and personnel began to return home to northern Utah. Among them were members of the National Guard who were mobilized by the governor. Though state resources had pulled out, local, county and regional agencies continued the search in earnest for 6-year-old Tyson Black the following week, but to no avail. Now, two weeks after the flooding, the county is handing search efforts over to local search and rescue teams. Hildale search organizers plan to resume the search with dog teams either this weekend or the next. On-going search efforts will be coordinated with the Washington County Sheriff. 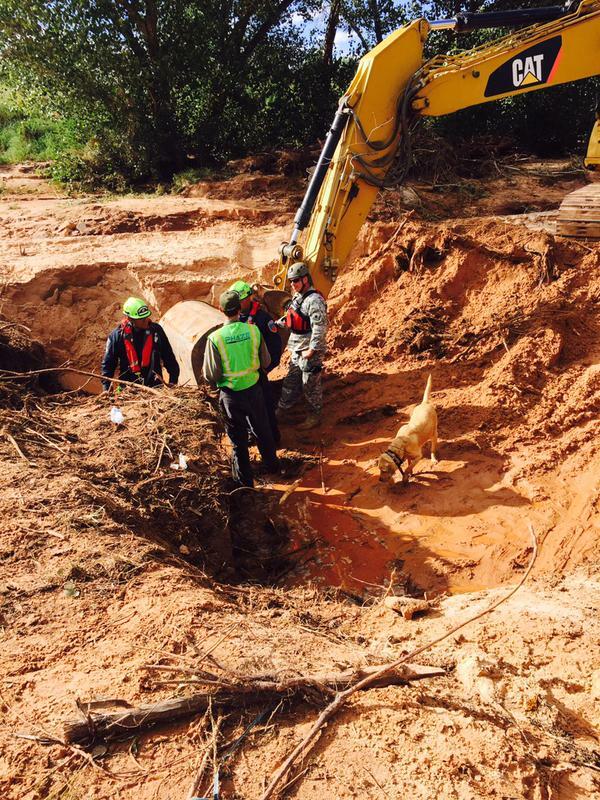 Yesterday, two county search and rescue teams, four dog teams and one mini-excavator worked in Section 16 and 17 in high probability areas where layers of debris and sand were deposited. In one area, a barbed wire fence had been completely buried. The creek has been searched multiple times with dog and ground teams, Commanders were surprised to learn that the flood had created a new channel, from 6 to 10 feet deep in a large portion of the creek where it had been flat before the storm. We are grateful for everyone who has given of their time and resources to assist in the enormous search effort over the last two weeks. Tyson, along with his mother Bella Black, his aunts Naomi and Josephine Jessop, and nine children, were killed after the vehicles they were in were swept away by flash flood waters following heavy rains on Sept. 14. Three boys, two of Tyson’s brothers and a cousin, survived the incident. Following the devastating flooding, agencies from the local to federal level descended on the twin-communities of Hildale and Colorado City, Arizona, known as Short Creek to help with search and cleanup efforts. The following Saturday, Gov. 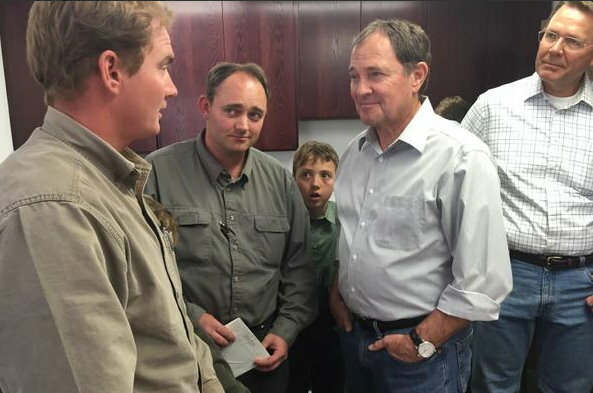 Gary Herbert visited Hildale and met with the search and rescue teams and family of those who had died. He also toured the site where the fatal flooding had occurred. The governor returned to Hildale once more, this time for a memorial service held Saturday remembering those who had been lost, as well as honoring those who had helped with search and recovery efforts. In addition to those lost at Hildale, flash flooding also result in the deaths of seven canyoneers in Zion National Park, and at least one man found on the Arizona Strip, bring the total of those killed to 21.